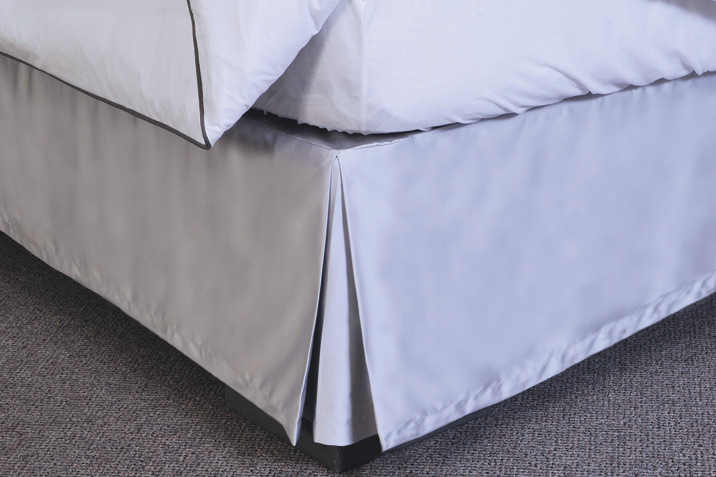 From decorative pillows, coverlets to box spring covers and mattress protection, Valley Forge has the perfect fabric and fabrication for your bedding specifications. 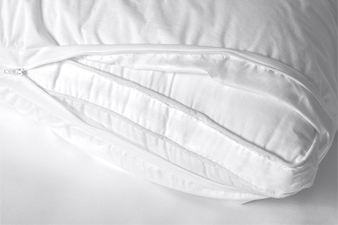 Choose from a variety of bedding products, the perfect fabric, and we will handle the rest. Our in-house seamstress team perfects the final design – either as a sample for your approval or for a model room – to ensure that the fabric fits your design and fabrication without any complications. Much of our extensive running line is designated for use as washable or dry-cleanable bedding, including specific collections that cater to top-of-the-bed applications. Learn more below or select the Products Tab to begin browsing! 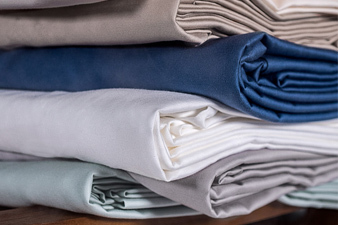 With 40+ years of experience in the hospitality textile industry, Valley Forge Fabrics formed a partnership with Lenzing AG to create Tencel+Plus™ Lyocell, a sustainable fiber derived from eucalyptus and other botanicals. Better known as Living Fresh by Valley Forge, this bedding textile was designed specifically for the hospitality industry. It has a silky smooth texture durable enough to withstand high temperatures and tons of cleaning cycles, yet maintain its original luxurious qualities. 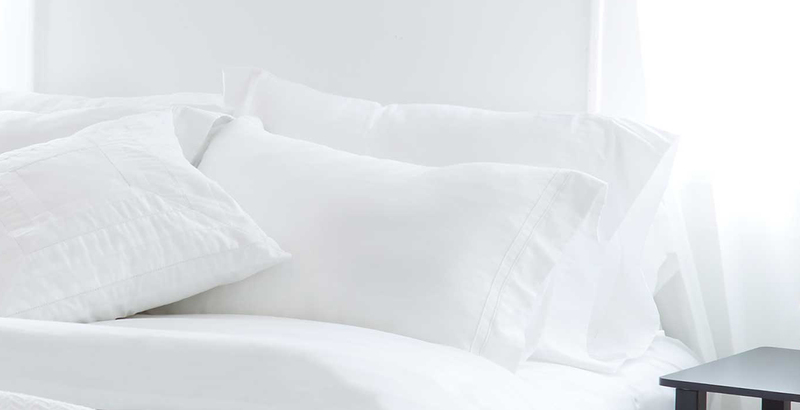 Tencel+Plus™ Lyocell actually gets softer with each and every wash, and does not require the use of fabric softeners which makes it easier to care for than bedding with traditional fibers. Our Living Fresh linens have the highest designation within the USDA Biobased certification program for a product; a green certification you can understand and trust. FKT medically tested, non-toxic processing, and harvested from FSC managed forests. FSC managed forests do not require irrigation, farming, or pesticides which protect not only the botanicals, but the quality of our water and soil. The botanicals we use are rapidly renewable resources; only 10% are cut down, and quickly regrow to full maturity in less than 10 years. Our environmentally conscious production process is award winning. When converting botanical pulp to fiber, 99.6% of the non-toxic solvent used to process our fabric is reused in a unique and proprietary closed loop system. This solvent is recovered and reused continuously, creating a truly sustainable model of production. For custom projects, the experts in our textile design, sourcing, and development teams will work with your design needs to construct a specialized bedding textile and finished product just for you. Select from our library of pre-made specs or get creative with us! Our extensive library of graphic designs and patterns are easily transferrable to printed pieces as well as woven textiles. 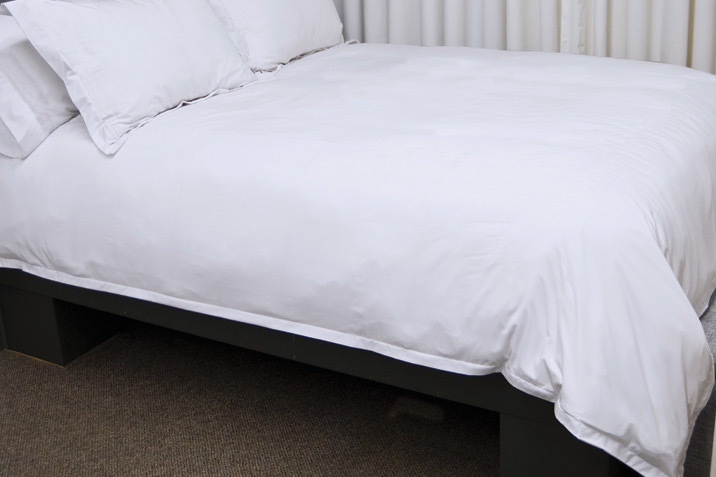 Sleep better on our super soft bed sheets originally designed for hotels and spas that stay cooler than other fibers. 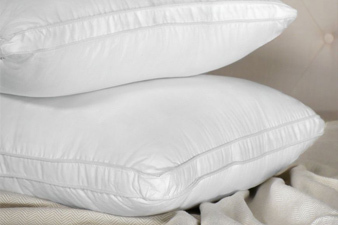 Silky smooth and soothing fibers that gets softer with every wash.
Rest your head on luxury bed pillows every night, originally designed for high-end hotels, stuffed with silky smooth fiber fill derived from eucalyptus and other botanicals. Experience first-hand just how comfortable our duvet covers are. It’s breathable, lightweight design stays cooler than other fibers - perfect for year-round comfort. This waterproof and breathable design inhibits dust mites and stays cooler than other fibers – silky soft, quiet texture. 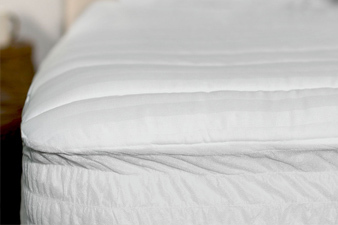 Top your bed off with our silky soft mattress pad for the perfect blend of comfort and luxury with benefits – inhibits dust mites, stays cooler than other fibers. 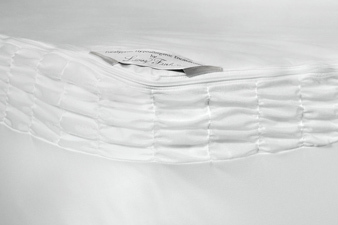 Keep your mattress safe from spills, stains, bed bugs, and dust mites. Features include PU lamination, Expand-A-Grip® and Val-Lock technology. Similar to a throw, bed scarves are draped across the foot of the bed. They add color and texture while also protecting the bedcover from typical guest wear and tear. Commonly found on traditional-style beds, bed skirts create an overall feeling of cohesiveness to the design of a room, and come in a variety of styles. Our selections includes a variety of pillow types that can be used as part of a decorative bedding design or upholstered to be toss pillows on a sofa. 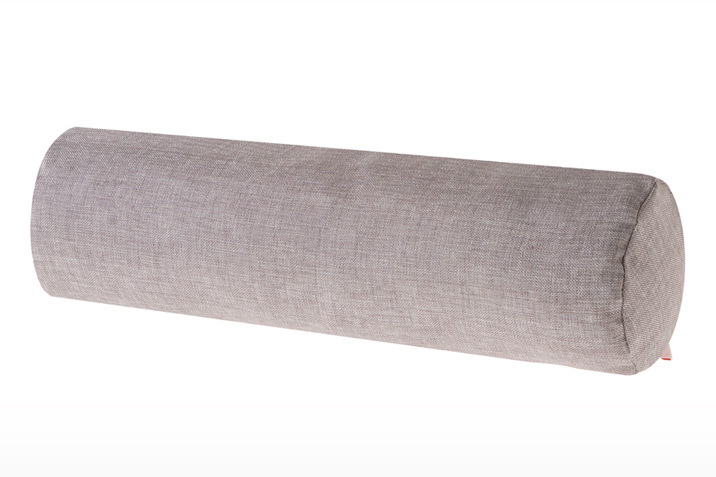 Polish off the bed with the clean design of a box spring cover. 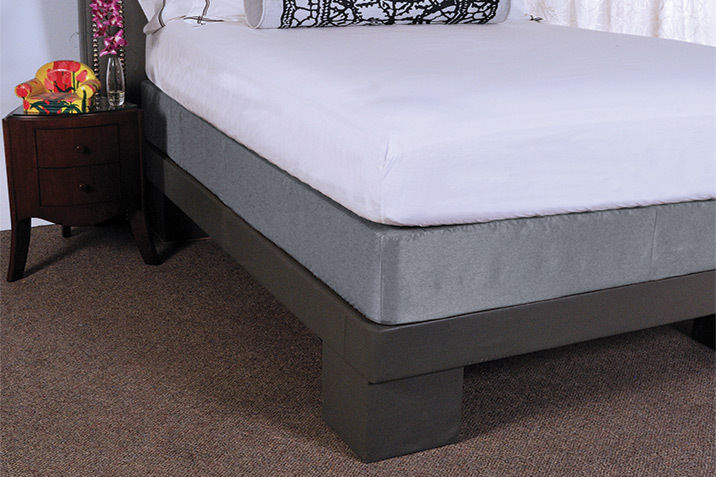 Box spring covers provide a tailored alternative to a bed skirt and are great for modern platform bed styles. 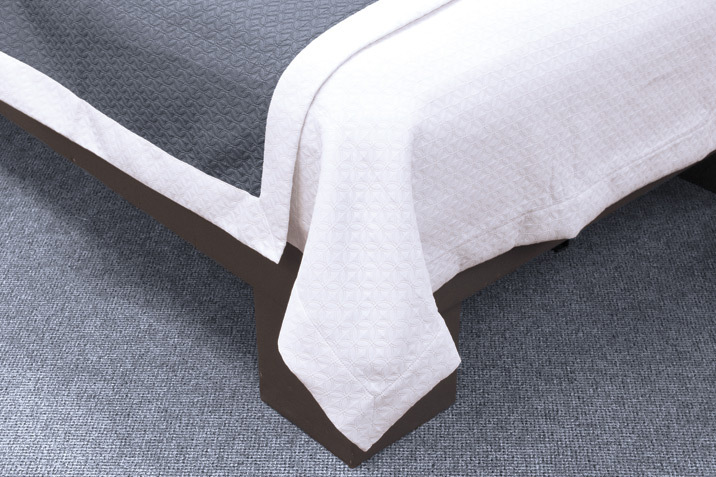 Coverlets are an easy and versatile way to add style and comfort to the bed, and are perfect for showing off a unique bed skirt or box spring cover. 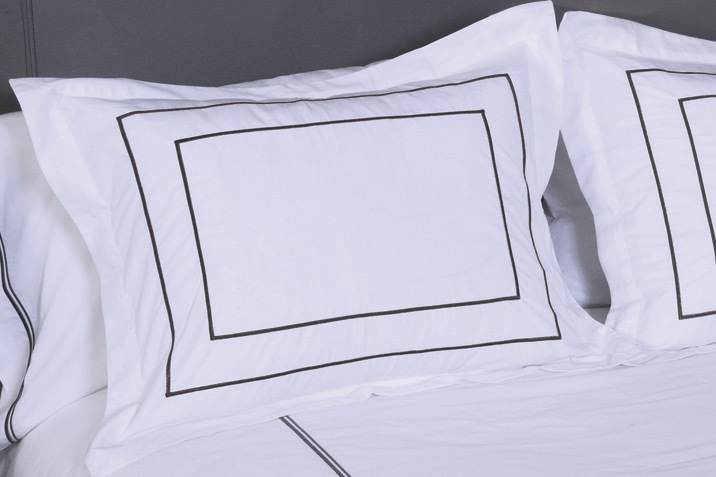 Elevate the bed design with a custom duvet cover. Available in a wide variety of styles customized to your preference. 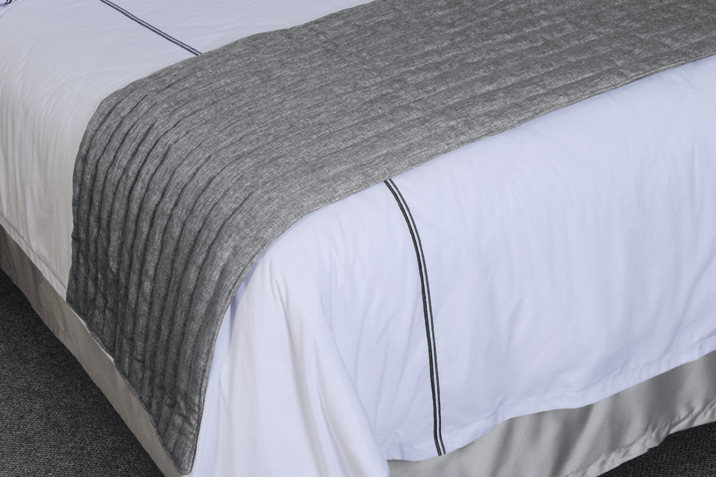 Duvets are available with or without interior ties, or embroidery. Protect your mattresses, box springs, and pillows from bed bugs, spills, and more using our encasements with a Val-Lock™ Closure. Often the final touches on traditional bedding styles, pillow shams give the bed a polished presentation and also add a bit of decorative flair. 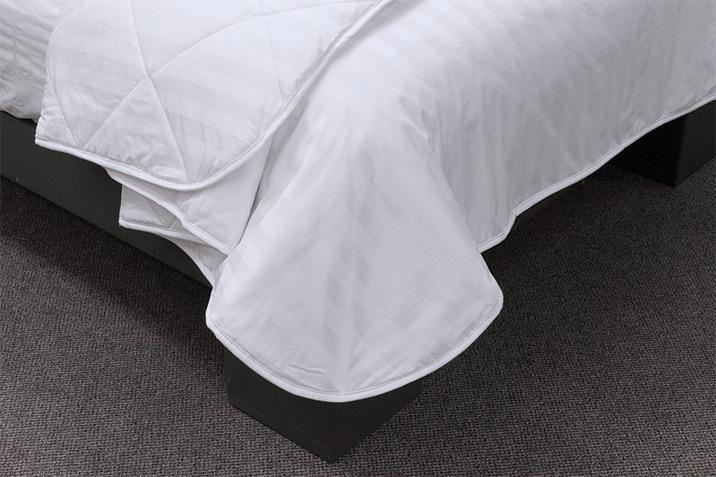 With our PreTenDuvet® you get all of the elegance of a duvet cover with the comfort and versatility of a coverlet.